The Canadian Securities Exchange (CSE) offers investors with a variety of cannabis-related companies seeking to increase their business activities. The CSE offers Canadian companies an option to seek business possibilities in the US, as long as it manages to disclose all its risks properly to shareholders. In 2017 the TMX Group, which oversees the TSX and TSXV announced it would evaluate the legality of cannabis companies listed in Canada with interests in the US. Following with this motion the CSE announced earlier this year it was also evaluating the potential to ask for more disclosure in terms of their risk operating in the US. Cannabis is currently illegal in the US on a federal level, however on a state by state basis, cannabis has become legal in a medical or recreational aspect. Last year the CSE launched an index, the CSE25, of the biggest companies in their exchange and some of the top companies among that index originally were all cannabis-related businesses. Here INN offers investors a growing list of all cannabis-related companies listed on the CSE. This year the company has expanded their work in novel cannabis products with a partnership to develop a hemp-infused, cannabinoid-rich, THC-free craft beer alongside Vancouver-based craft brewery Faculty Brewing. The company provided an update to shareholders on their acquisition of Biocannatech, a late-stage licensed producer applicant under Health Canada’s access to cannabis for medical purposes regulations (ACMPR) in Quebec. Beleave is a biotech company with a focus on becoming a licensed producer of medical-grade cannabis under the ACMPR. Its wholly-owned subsidiary, First Access, applied for a pre-license inspection in March 2017. On January 31 the company announced it received a notification from Health Canada about its pre-sale inspection, which is now scheduled for February 8. If approved the company will obtain a cannabis sales license. On the technology side of things, Cannabix Technologies is developing a breathalyzer that detects THC for use by law enforcement. The company announced its inclusion in the CSE25 Index in November 2017. Most recently the company provided an update to shareholders of the development for their marijuana breathalyzer. “With completion of the modular Beta 3.0 prototype, Cannabix has achieved several key developmental milestones allowing this technology to be directly tested against the accepted laboratory standard of mass spectrometry,” Chief Scientific Officer, Dr. Raj Attariwala said. CannaRoyalty puts together its platform of holdings through royalty agreements, equity interests, convertible debt and licensing agreements across Canada and the US. The company seeks to make investments in cannabis companies for the US market, with a direct focus on California, Nevada, and Florida. After US Attorney General Jeff Sessions rescinded the Cole Memo, the company issued a statement reassuring shareholders of its position in the American market. Friday Night is a cannabis producer based on the state of Nevada, one of the states to most recently legalized the recreational use of cannabis. The company raised $7.5 million in order to fully capitalize on the high demand of the market in Las Vegas. On June 15, the company began trading on the CSE. Thanks to the boom of the Nevada market, the company is hoping to capitalize on the millions of tourists visiting Las Vegas. The company announced its intentions to expand its presence into one of the biggest cannabis market available, California. FinCanna is a royalty company for the licensed medical cannabis industry, with a focus on the California market. The company started trading on December 29, 2017. Their lead investment is for Cultivation Technologies, which is planning the development of a production facility in Coachella, California. Through its subsidiaries, the company has interests in farming projects in California related to the extraction of THC and CBD strains. The company plans to roll out the launch of their cannabis lifestyle apps CannaLife and CannaMed. The company announced it will launch Citizen Green’s CannaMed and CannaLife apps. Global Hemp’s latest joint venture is with Marijuana Company of America (OTC:MCOA) in which the two companies will work on the development of their New Brunswick hemp project. Listed in Canada but located in Oregon, Golden Leaf Holdings is focused on producing high-quality cannabis oils. Currently, the company’s portfolio of brands is to meet the needs of patients, consumer and strategic partners. The company gained licenses to sell its products in Las Vegas and other areas in the state of Nevada, a market that has expanded in 2017 with incredibly high demand, following the legalization of cannabis. High Hampton is a cannabis operator focused on the Californian market. Through its subsidiary, CoachellaGro the company is expanding their reach in the state. As the company awaits for a Conditional Use Permit (CUP) for a 10.8-acre CoachellaGro facility located within the Coachella cultivation zone, in January it announced a strategic planning phase. During the Lift Cannabis Expo in Vancouver this year, CEO David Argudo gave INN an update on the obstacles facing the California cannabis market. On the topic of risk potential for CSE-listed cannabis operators in the US, the company gave an update to shareholders after Canadian Securities Administrators issued a notice asking companies in this space for a risk disclosure update. “By further clarifying what is expected of an issuer, the CSA offers valuable guidance on disclosure necessities and further reiterates its commitment to follow this disclosure-based approach,” Argudo said in the statement. Hiku is a cannabis company focused on the lifestyle brand aspect of the industry. The company was created by the same team behind the popular Saxx Underwear. Previously known as DOJA, the company completed a partnership with Tokyo Smoke to morph its public offering into HIKU. DOJA and all it’s LP product are now a subsidiary of the new enterprise. This company offers financing options to other cannabis cultivators, processors, and dispensaries in the US. The company has deals with licensed producers in four states: Colorado, Massachusetts, New Mexico and Vermont. By guiding these many companies iAnthus has a solid grasp on the cannabis sector in America. iAnthus currently has almost 20 million invested in five cannabis operations since the start of 2016. “We look forward to making additional investments in greenfield states as well as acquiring assets that have strong track records of revenue growth and cash flow generation,” Julius Kalcevich, CFO of iAnthus, said in a statement. The company made a push for the Florida market by buying the assets of GrowHealthy Holdings a local Florida company. The company recently shared some results from its co-sponsored study with the University of British Columbia. “The InMed-UBC study is the first ever to report hydrogel-mediated cannabinoid nanoparticle delivery to the eye, resulting in enhanced drug uptake via the cornea and lens,” InMed said. Isodiol is one of the first Canadian companies to express an interest in entering the Mexican market, following medical legalization in the country. Isodiol announced in early July that it had received approval from the Brazilian Health Regulatory Agency for its pharmaceutical grade Cannabidiol product, Isoderm. Lexaria is food biosciences company that has the technology for improved delivery of bioactive compounds. In particular, the company offers a variety of hemp oil products to its consumers and also has some novel food offerings like a black tea infused with hemp oil. Lotus is a medical marijuana company planning to build a 28,000 square foot facility. Lotus is awaiting a confirmation letter from Health Canada regarding their federal license. Recently the company announced it had signed a deal with Cannabis Wheaton (TSXV:CBW) for $5 million worth of common shares. Liberty Health is a company focused on cannabis opportunities in the US. They are partnered with Aphria (TSX:APH; OTCQB:APHQF) Currently, Liberty Health is focused on the market available in Florida, including a variety of deals to provide cannabis products to that state. Liberty Leaf Holdings is focused on the business of acquiring partnership interests in up-and-coming and established companies in the medicinal and recreational cannabis space. On October 27, the company announced it received an aggregate $763,500 from the exercise of share purchase warrants. Marapharm Ventures has two operations in British Columbia. The company’s initial facility–a proposed 22,000 square feet area –will be on an 11-acre site in Kelowna. Marapharm has also purchased land in Las Vegas for the purpose of building a facility that will host three medical marijuana licenses. What’s more, the company also has the opportunity in Washington to lease a facility to a tier 3 license holder. Maricann is relatively new to the Canadian marijuana stocks, having joined the CSE under the symbol MARI on April 24th. Maricann expects to be finished with the construction of their Langton facility in 2017, which will up their production square footage from 44,000 to 217,500. Matica is involved in the acquisition of 70 percent of a late stage ACMPR applicant and builds a 10,000 square foot facility in Quebec. This facility received its official inspection by the management team of Matica, with CEO Boris Zieger saying their facility is on schedule and should be done by November of 2017. Through its subsidiaries and investments in several states in the US, MPX Bioceutical Corporation is involved in the American cannabis market. Formerly known as Canadian Bioceutical Corporation, the company officially changed its name in November. The company applied for a Canadian licensed producer (LP) status, but due to a rocky unresponsive process decided to mobilize its investments in the US. On May 22, 2017, the company officially began trading on the OTCQB Market. Our next Canadian marijuana stocks company is MYM Nutraceuticals, another biopharmaceutical company, and distributor of medical marijuana. It has applied to Health Canada for a production license under MMPR and considers itself well prepared for distribution of medical marijuana, and a growing facility property. The company has performed a strategy seeking the Australian market, on November 14 the company announced it had completed multiple patent filings with the Office of Drug Control. NanoSphere is a biotech company working on novel delivery methods. Their relation to the cannabis industry comes in the form of technology. Most recently the company announced a deal with a private-label manufacturer of pharmaceutical goods based in California. “This new venture not only opens up a huge market, but is a fantastic opportunity to increase our visibility and reputation in the legal cannabis space, and represents a significant stepping stone to reaching even more new patients and consumers with our lauded transdermal delivery system,” Robert Sutton, Chairman and CEO at NanoSphere said. Nutritional High is a company focused on cannabis-infused edible products and oil extracts for both the medical and recreational market. On October 8, the company announced it was entering into a novel cannabis market: beverages. The company “entered into an agreement with Xanthic Biopharma to manufacture and distribute their innovative cannabis-infused powdered drinks and other products in Colorado. Phivida works on CBD infused foods and beverages and clinical CBD products. Most recently the company announced an agreement with Namaste Technologies (CSE:N; OTCMKTS:NXTTF) to distribute their products in Germany and Australia. “This Agreement represents a pilot project between both companies whereby Namaste will distribute Phivida’s proprietary CBD beverages and infused products within the designated territories,” the companies announced on their joint statement. PUF Ventures has a diversified portfolio of assets in the Canadian marijuana sector. It owns a passive, non-controlling interest in AAA Heidelberg, which is focused on using all-natural nutrients to grow healthy, pest-free plants. AAA Heidelberg has had an MMPR application pending with Health Canada since 2013. Other ventures the company has invested in include 1313 Cigs, VapeTronix, and Weed Beacon. In late January, the company announced it had recommenced its development of the WeedBacon platform. During its most recent financial disclosure, the company announced an increase in revenue to $516,211 during their first quarter. Much like a number of other Canadian marijuana stocks, Tetra Bio-Pharma is focused on combining traditional methods of medicinal cannabis use together with scientific validation for inclusion in the existing biopharma industry. The company entered into a partnership with Aphria for the release of their products. This partnership resulted in the inclusion of Rx Princeps products, a blend of 3 strains of medical cannabis. Next, on the Canadian marijuana stocks list is THC Biomed, who has been granted permission to conduct research and development for scientific purposes with medicinal marijuana. The company provides scientific and biotechnical services to current and potential licensed producers. In May 2016, Health Canada granted TCH BioMed a license to produce fresh marijuana, cannabis oil, and cannabis resin. Tinley Beverage is the producer of Hemplify, a drinkable vitality supplement containing hemp extract made from the stalk of industrial hemp. The vegan, sugar-free drink is a source of electrolytes, vitamins and Omega 3 fatty acids. The company reported receiving its first orders for Hemplify products on March 10, 2016. In August 2016 the company launched its web store at www.drinkhemplify.com and listed its flagship “Hemplify” product for sale on Amazon.com. Canada-based True Leaf is slightly different than the afore-mentioned Canadian marijuana stocks; the company is focused on the production of hemp-based functional dog chews. In August 2016, the company secured the first order for its True Hemp pet products with Pets Corner, the second largest pet store chain in the United Kingdom. The store will sell the product in all of its 174 stores. The sale also means that True Hemp is now generating revenue on two continents – North America and Europe. “We’re on our way to becoming a truly global brand,” said CEO Darcy Bomford. Located in British Columbia’s Okanagan Valley, our next Canadian marijuana stocks is Valens GroWorks, a “rapidly emerging” with a focus on cannabis cultivation and research. In November the company announced it had increased a private placement offer in order to advance the operational capability of its Kelowna Facility. Veritas is working on fully understanding the medical capabilities of marijuana, the company’s mission is to find the most effective strains that target a specific disease condition. Veritas is using a specifically designed approach to their research where they chemically and pharmacologically profile the plant. As a last check, they complete a clinical study of each cultivar. Vinergy is an oil and gas company, that acquired MJ BioPharma, a cannabis technology company focused on manufacturing breath strips, time release capsules, extract oils, food products, and infused juices, teas, coffee and extract drinks and pharmaceutical grade delivery systems. The pair announced in February the had developed an oral cannabinoid complex delivery strips and controlled time release capsule technology. “We think time release capsules are extremely important as they help bridge the gap in terms of familiarity with many patients who want to switch from synthetic drugs to a natural product as a way to reduce side effects and drug,” said Mr. Kent Deuters, CEO of MJ Biopharma. Vodis has medical and recreational marijuana business operations in both Canada and the United States. With facilities in BC and Washington State, Vodis is actively seeking expansion opportunities in other countries and US states. In March, the company announced it, together with Our Church International, signed a 15-year licensing and marketing agreement. Later that month, Vodis announced construction had begun on its Bellingham cannabis facility. Following that, the company announced its USA-branded product had begun selling in Washington State. On June 20, Vodis announced a $5 million private placement financing. Working exclusively in Washington State, Wildflower Marijuana lists in Canada, with a focus on developing and designing products in the cannabis sector. On June 27, Wildflower announced that its products would soon be coming to Amazon.com–which shouldn’t come as a surprise. Earlier in June, the company announced a brand expansion into the American market. Did we miss a company that you think should be included on the Canadian marijuana stocks list? Let us know in the comments! Editorial Disclosure: Beleave, HIKU Brands, Friday Night, Global Cannabis Application, Isodiol International, Lexaria Bioscience, MYM Nutraceuticals, Nutritional High, PUF Ventures, Valens GroWorks, Vodis Pharmaceuticals and High Hampton Holdings are clients of the Investing News Network. This article is not paid-for content. 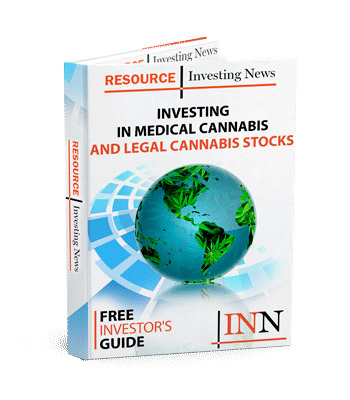 The post CSE Cannabis Stocks appeared first on Investing News Network.